Under his guidance, the company has pushed into more modern audio offerings including podcasts and connected speakers. Video, even on the internet, still hasn’t killed the radio star. 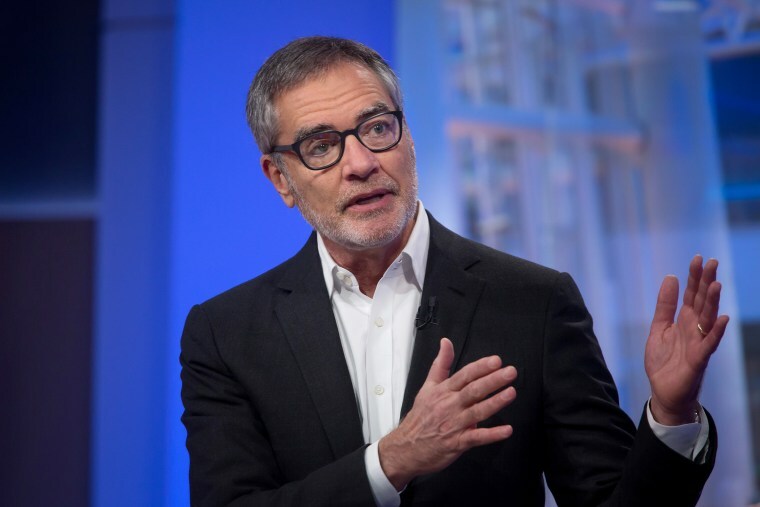 Audio, as it turns out, may have its brightest days ahead, according to Bob Pittman, iHeartMedia chairman and CEO. “Audio is hot for the first time in decades,” Pittman told NBC News in a recent interview. Pittman’s company, formerly known as Clear Channel Media Holdings, is a giant in the radio industry with more than 850 broadcast stations. Under his guidance, the company has pushed into more modern audio offerings including podcasts and connected speakers. Pittman, a former chief executive of MTV Networks who also ran AOL as chief operating officer in the company’s early years, began in the radio business at 15 years of age as an announcer in his hometown of Brookhaven, Mississippi. Pittman joined the company in 2010, two years after a buyout from two private equity firms, which would leave the company saddled with more than $20 billion in debt. Q: You are a former chief operating officer at AOL. Should big tech be broken up as Elizabeth Warren and Rupert Murdoch are both suggesting? A: Things go in waves. They’re very cool and very hip and at a certain point, they won’t be cool and hip, and so we may see for the first time in 20 or 30 years that tech is not necessarily cool. That happens to every business in every industry. I don’t think it is necessarily bad, but you know you no longer have Teflon. Q: Being in radio, you have perhaps a broader view of what’s going on beyond the coasts. iHeart is based in Texas. Can you talk about the cultural divide in the country and how that’s expressed itself in radio? A: People in America want a discussion and a conversation, and I think people on every side of an issue — the majority of people — don’t want a lot of screaming and yelling and paralysis. They want all of us to find a way to come to solutions. I have no idea how to do it. If I did I would probably run for political office.That’s what they’re craving. All of us in media have to be aware of it. We can’t ignore that. Q: You are emerging from bankruptcy. What do you envisage for the new iHeart? A: Audio is hot for the first time in decades. And people don’t quite appreciate the nuance of it. There are two parts to the audio sector. There’s radio and a music collection, both have done well over the years. The music collection side of the equation has been impacted by technology and it has transformed it. Spotify is really winning the music collection side of things. Radio is also benefiting from the technology revolution. It’s added more and more ways to listen to the radio on hundreds of new platforms and thousands of new devices, from smart speakers to smart TVs and game players. iHeart is leading the radio side of things. Something like the smart speaker has been terrifically important to us with [Amazon’s] Alexa. It has replaced the home radio. We were having a problem. It’s hard to find a plain old radio anymore, and now we have one. The number one use is AM/FM radio, and number two is check the weather, number three is a reminder, and then we get down to the streaming music services. It has replaced the clock radio. We envision it’s probably going to cars. Q: What are the misconceptions about radio versus the big streaming companies? A: Between 70 and 80 percent of Spotify users say the main way they discover music is FM Radio. Things haven’t changed, you know. In the old days we’d hear it on the radio and buy a CD or a download. Now you hear it on the radio and you put it on your Spotify playlist. They’re the most important part of the music collection sector, and we are the most important part of the radio sector. The number of people we reach eclipses their reach in the United States by a mile. More people listen to the radio than have a music collection. There are 275 million people listening to us and maybe 80 million to Spotify. It’s not even half yet. [Spotify has 87 million total subscribers and 191 million monthly active users globally.] If you look in the car, the streaming services all combined are probably a little below CDs. We keep it in perspective. There was a study on trust, and the most trusted of all media is radio. We are regulated by the U.S. government and we are careful and controlled about what we say so we don’t have these breaches of trust that can come in markets where you don’t either apply that yourself or have the government apply it to you. Q: Will you acquire other companies or do you see yourselves potentially being part of something else? The Financial Times reported there were some conversations with Apple, which was exploring a stake. A: We’re looking for additions either through make it, partner, or buy it. Even during bankruptcy we bought two companies. We bought [Stuff Media] and we bought Jelli, that was essential to this whole new way of developing and buying advertising and connecting with our advertising partners, so I think we’re always open to that. As far as the company goes, I really can’t opine other than to say, audio is very hot today. Q: Liberty Media now has a stake in iHeart, SiriusXM, Pandora and Live Nation. They said they’re interested in taking a look at Universal Music. Can they be bigger players in the music industry? A: I think [Liberty Media CEO] Greg Maffei is really smart. I think [SiriusXM Holdings CEO] Jim Meyer and the guys at SiriusXM have done a really great job. They’re a great model, and I think Greg is quite astute and was early to see audio is the next big thing and think he’s planted his flag and has some great assets. Everything he’s done focuses more attention on us, on the audio sector. The more people realize how big this is with the consumer, the better it is for us. Q: Which CEO has the hardest job in media? CORRECTION (April 2, 2019, 4:23 p.m. ET): An earlier version of this article misstated the company that became iHeartMedia. It was Clear Channel Media Holdings, not Clear Channel Outdoor Holdings.